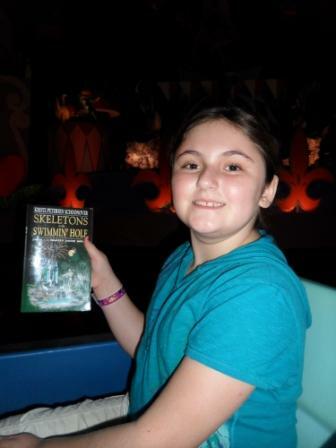 ONE FAMILY TAKES SKELETONS TO WALT DISNEY WORLD! 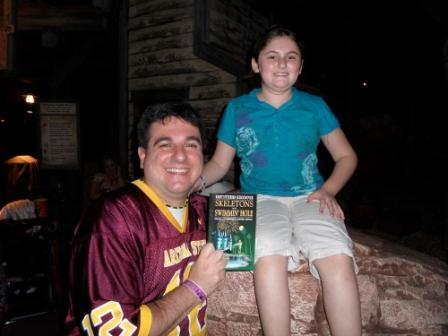 Adam Boneker and his daughter, Dakota, with Skeletons in Walt Disney World's Magic Kingdom. So, where are you headed in 2011? Right now, I’m sure some of you are saying nowhere because of all of these winter storms. 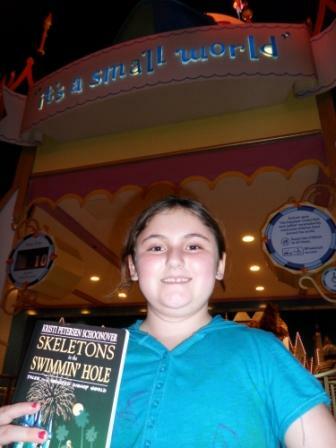 But recently, Skeletons in the Swimmin’ Hole—Tales from Haunted Disney World got to travel to Disney World thanks to the Boneker Family of New Jersey! 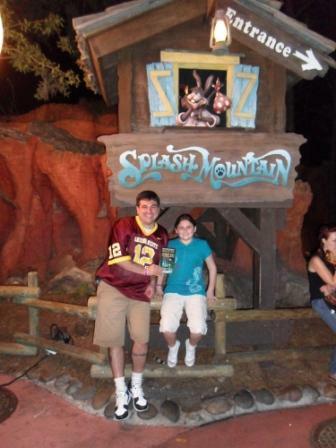 Adam Boneker and his daughter, Dakota, at the entrance to Splash Mountain, where the story “Miss Reyna Gets Her Comeuppance on Flash Mountain” is set. Dakota in one of the It’s a Small World boats. 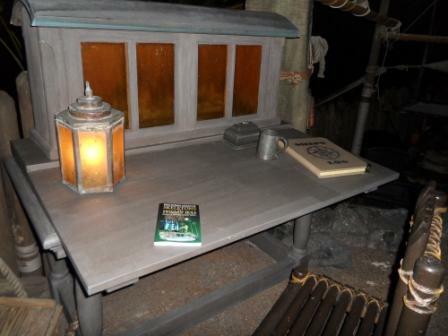 The boats play a huge role in the story “All This Furniture and Nowhere to Sit,”—Lainee purchases a boat, has it delivered to her house, and converts it into seating for her playroom…with disastrous consequences. 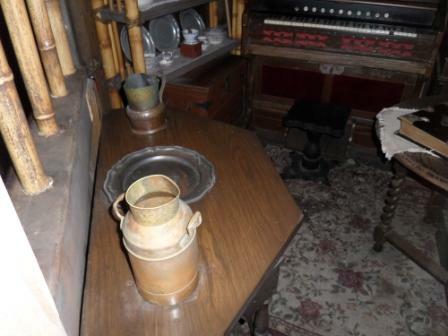 The sideboard in the Swiss Family Treehouse Living Room, which is where the wonderful organ that pipes out that polka is kept. In “Charlotte’s Family Tree,” something important happens in this room, and the organ music is featured prominently in the piece. 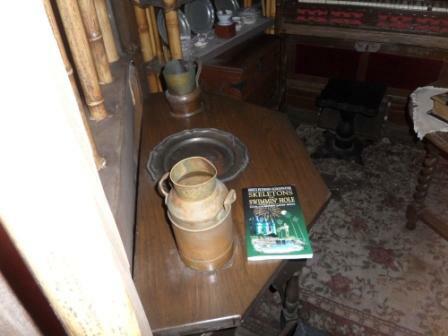 Skeletons on the sideboard in the Swiss Family Treehouse Living Room! 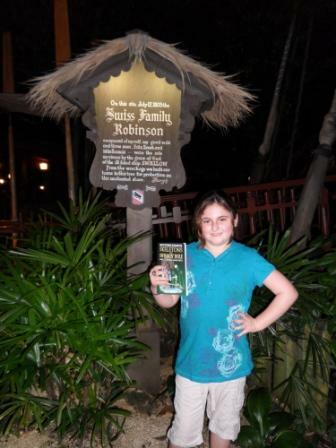 The Swiss Family Treehouse Library. 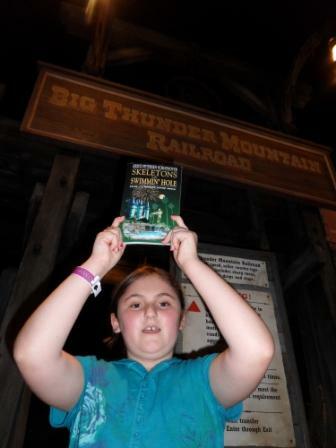 Skeletons in the Swiss Family Treehouse Library. 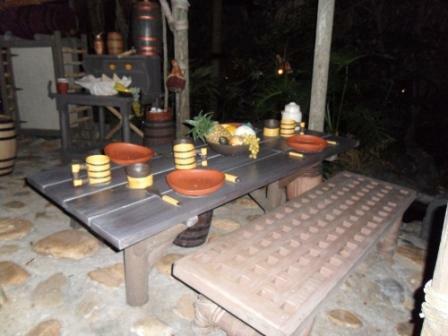 The Swiss Family Treehouse Kitchen. 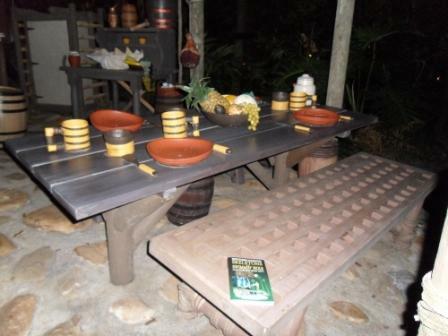 Skeletons seems ready to be served in The Swiss Family Treehouse Kitchen. 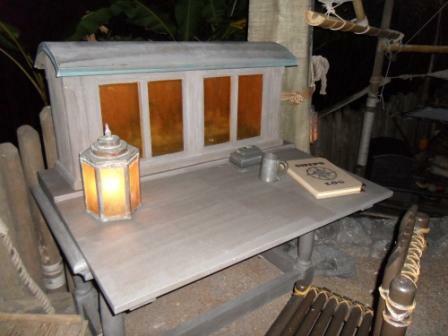 ← WILL DISNEY CHANGE TOM SAWYER ISLAND?